I don’t know about you but I love visiting markets when I’m travelling though I can’t say buying a fat pig is a prime objective. 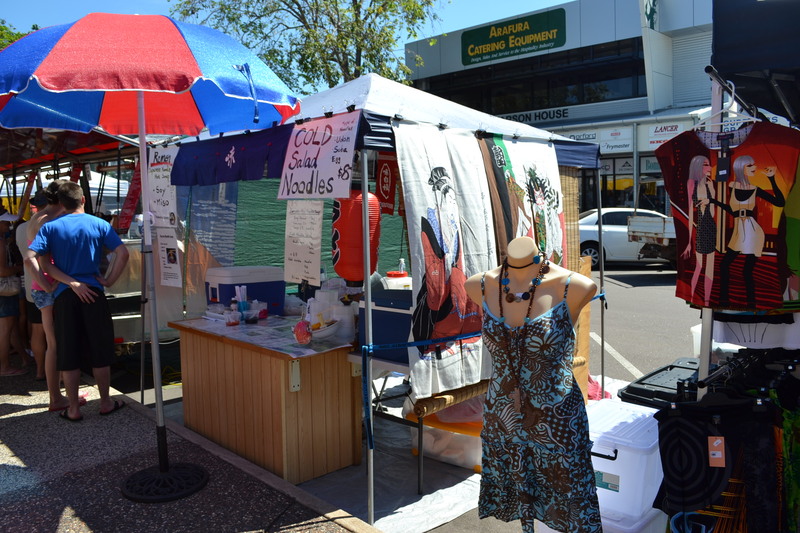 Without a doubt the markets in the Top End are one of its major tourist attractions. 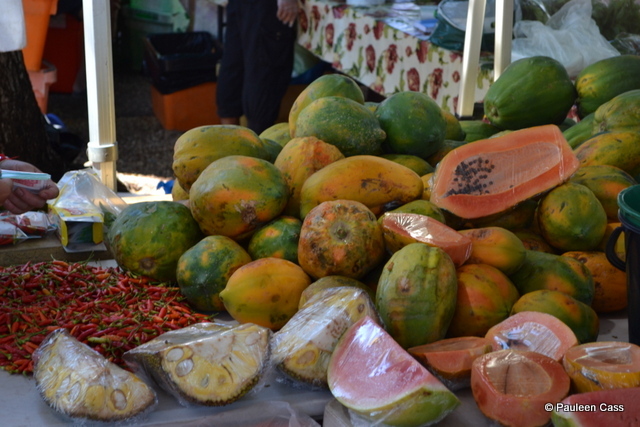 Not that this is the exclusive province of the Territory, or indeed to the Darwin area, as you’ll find wonderful markets in the north of Queensland as well as in Broome in Western Australia. 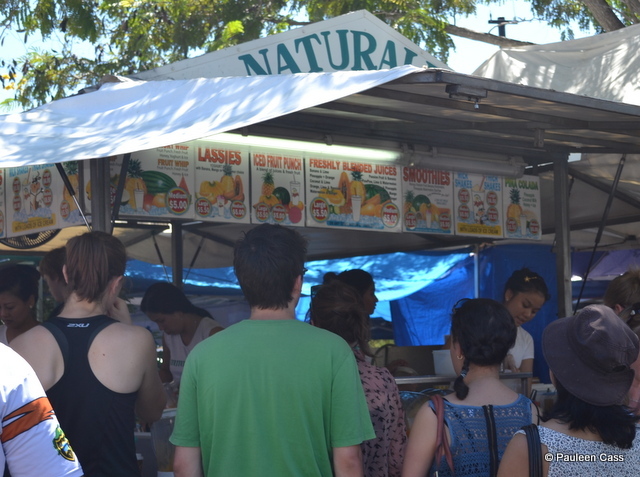 However Darwin’s varied markets are certainly full of fun and a great passion of the local foodies as well as the tourists. Being so close to Asia, the culinary influences are very evident and there are times you might even think you’ve been transported (ha ha, Aussie convict joke). 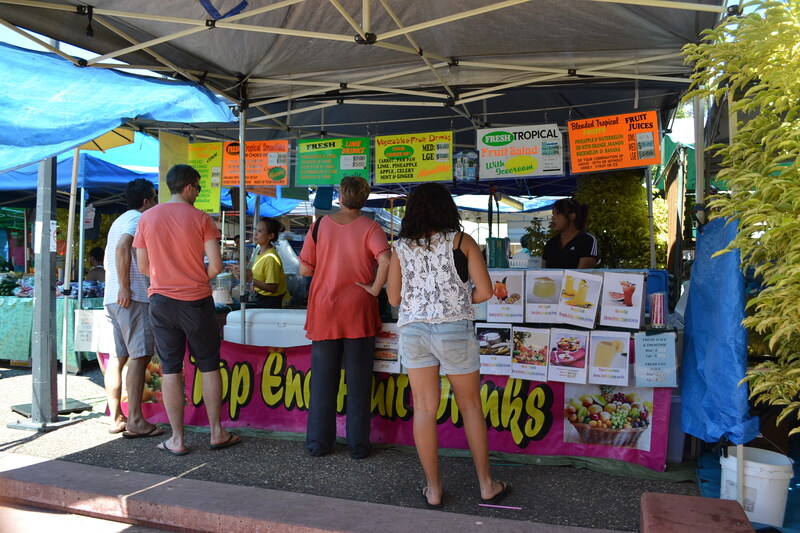 Breakfast, brunch or lunch, Parap Market has what you want. Mindil Beach is the most popular of the tourist markets even though it’s only on during the Dry Season months, usually commencing on the Thursday evening closest to Anzac Day, 25th April. It can be a veritable Babel with chatter in innumerable languages and almost as many food choices as well. 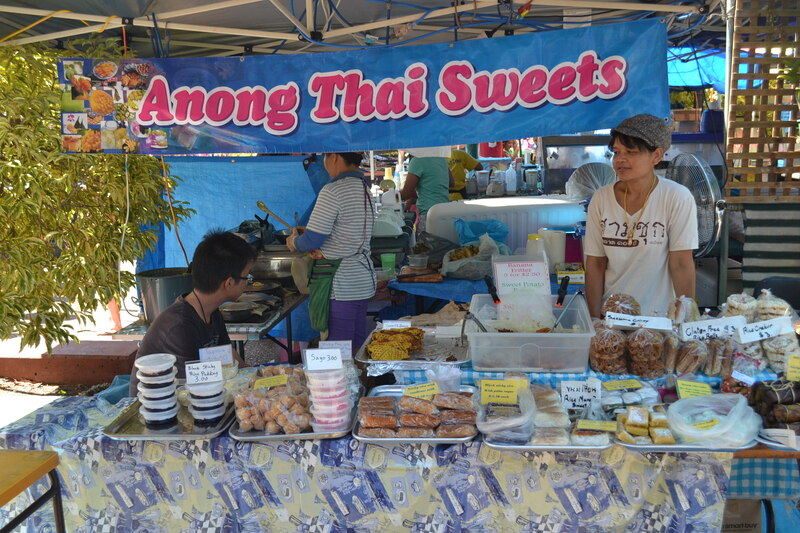 My own preference is for Parap Markets so all the photos are from there but you’ll see most of the same stalls at both places. Somewhere I have photos of Mindil, but where, that is the question. Food is the dominant attraction and it’s a cheap place to have a night out with friends (BYO chair, wine etc) and you get another of those Darwin sunsets thrown in for good measure. The glitter of flashbulbs is enough to make you think the paparazzi have hit town. What would you like to eat? From Cambodian dishes to Dutch poffertjes, Thai temptations, Japanese Ramen or Vietnamese snacks, you won’t be disappointed. Do as the locals do and match your meal or snack with a delicious tropical fruit smoothie…how about mango, pineapple and lime? The young ladies on the smoothie stalls run non-stop for the whole time the markets are on and if you could bottle their serving and order skills Darwin wouldn’t have the dubious reputation it often has for restaurant wait-staff. Your choice of fresh fruit drink…always popular. 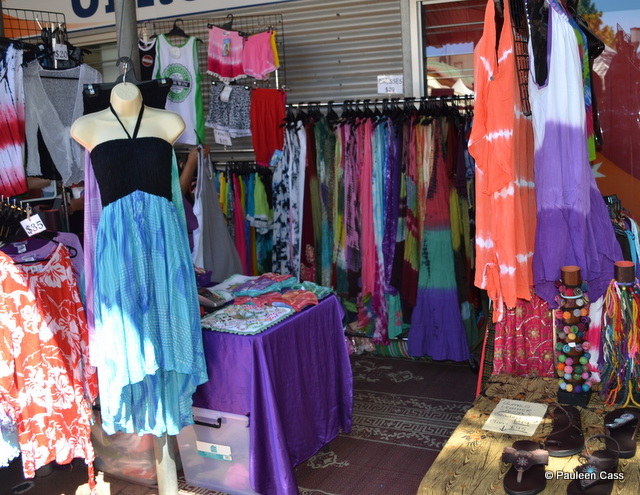 And since it’s tourist central during the Dry there’s also lots of local crafts like fragrant frangipani soap or crocodile skin belts not to mention the whip-cracker who delights the audiences, or the jewellery and sarong stalls. 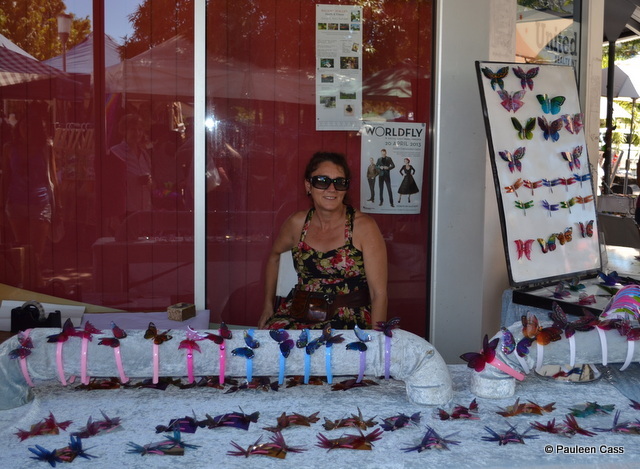 I loved this stall with butterfly craft. There’s inevitably a didgeridoo player to give some local atmosphere. No wonder people enjoy themselves. You may even find some quality Aboriginal craft like the baskets and weavings (below), which I photographed last Saturday with permission. Not inexpensive but there’s a lot of work in these. 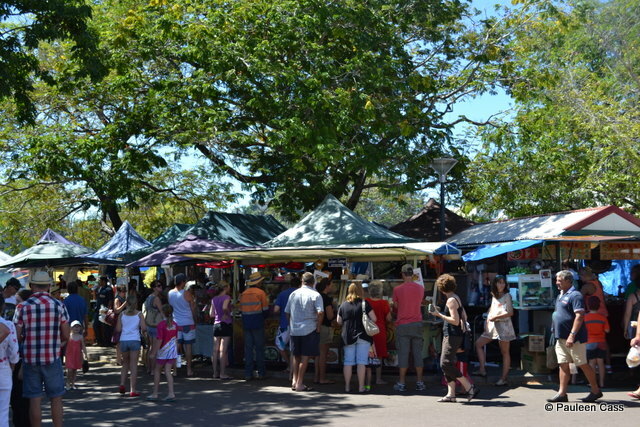 The local Parap Markets on Saturday mornings are my favourite, hands down, a manageable size and not so touristy or crowded. Are you after breakfast, brunch, or lunch? 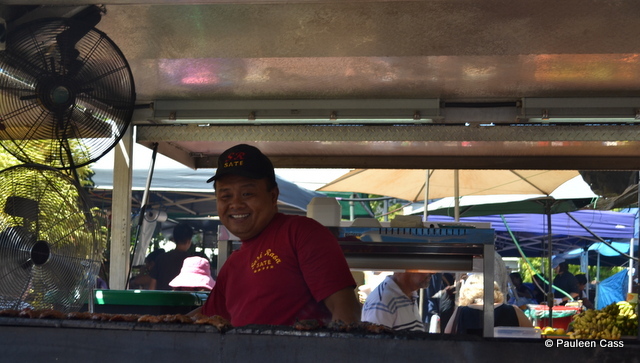 You can pick up a samosa, a sushi, laksa, stir-fries or satays on sticks cooked over coals, and those fruit smoothies. Delicious satays cooked over coals as you wait. 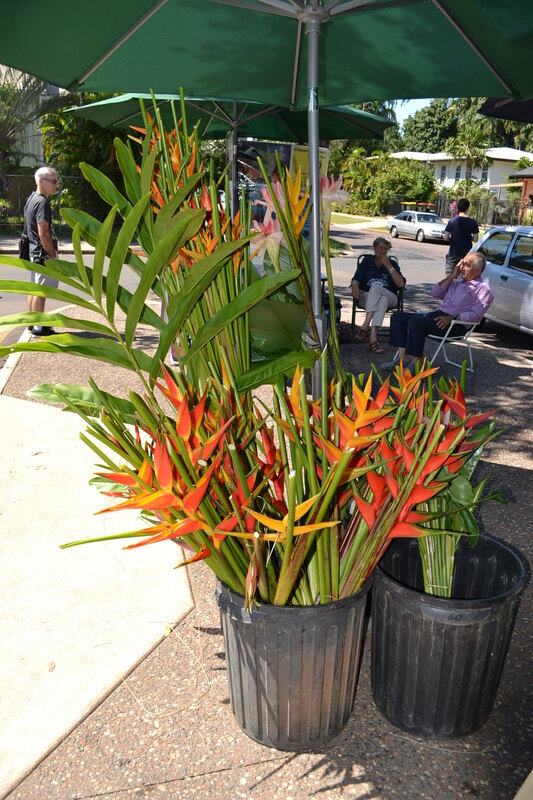 Grab a bunch of beautiful tropical flower for a pittance to liven up your hotel room if you’re here for a few days. Do as the locals do and have a crepe delight from Ken’s Crepes. 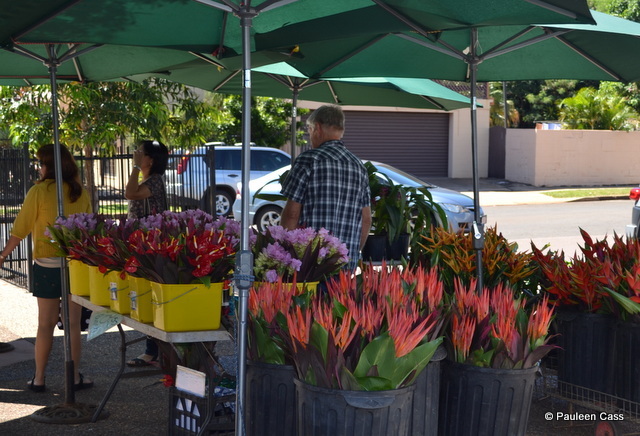 Buy a bunch of tropical flowers for under $10. 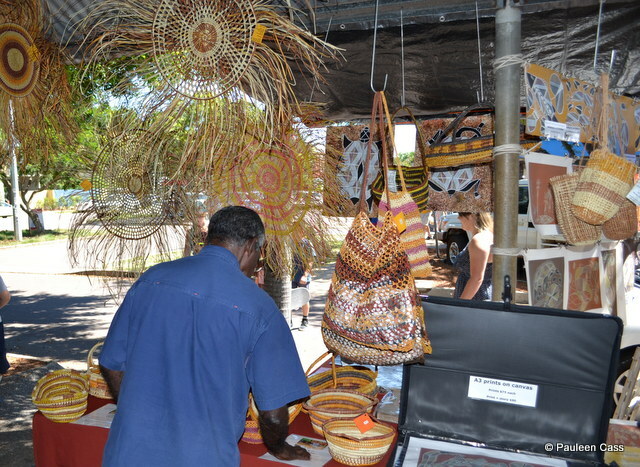 Shop around the many little local craft stalls…lots of souvenirs to be found and you’ll probably find that perfect gift for someone at home, or even for yourself. If you’re staying somewhere self-contained you may even want to buy some tropical fruit and Asian vegetables so you can cook up a storm. Need to find some tropical clothes? They’re here in abundance. 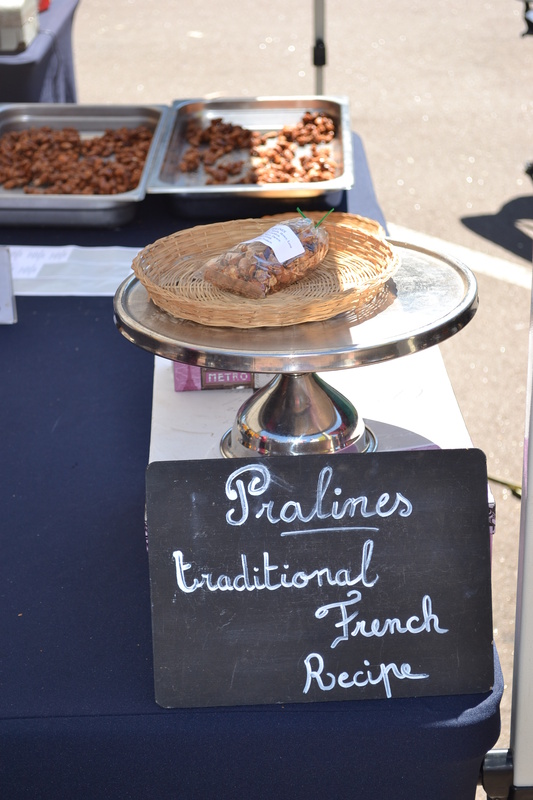 While you’re at Parap, wander round to Parap Fine Foods, Darwin’s iconic deli with delicious treats in store. 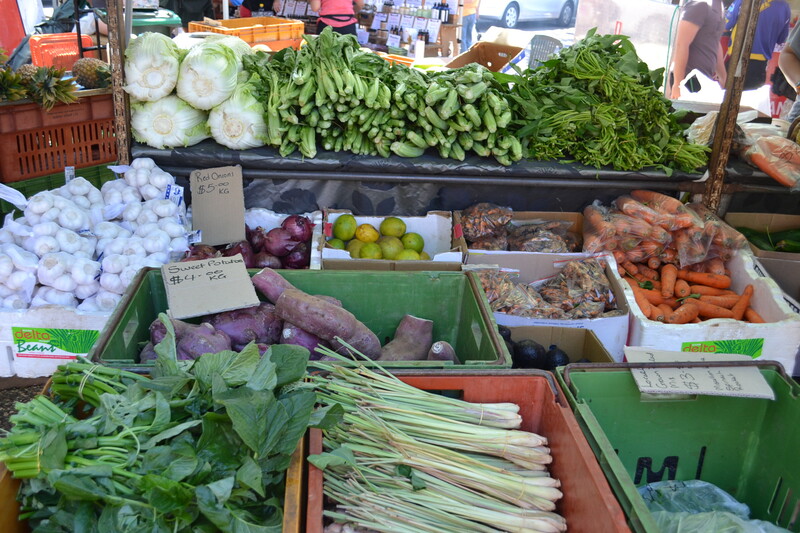 Rapid Creek markets on Sunday mornings are a great place to check out the diversity of Asian fruit and vegetables especially if you’re unfamiliar with them. Don’t forget to take the camera and get some photos while you’re there. Why visit: to mix it with the locals, get a great feed at a great price, see the sunset (Mindil) and just plain have fun! I was tempted to venture down the track to Mataranka or further still to the McDonnell Ranges, for the letter M but I thought you might find the markets more fun. Mickey Mouse: Unlike the American version (as I understand it), this is rhyming slang for “grouse” and so means something is great, rather than that it’s cheap and rubbishy. Mad as a cut snake: truly cranky and annoyed. Mate: the ubiquitous Aussie greeting for another person. Increasingly in recent years it includes women. It’s also the ultimate compliment defining a friendship of great loyalty. “G’day mate, how’re you goin’?“ or “He’s my best mate” or “you’ve got to stick by your mates”. Magpie: someone who collects bits and pieces (alternatively “bower bird” might be used, both after two Australian birds). Mate’s rates: either an official or unofficial price for a friend or perhaps even a local resident. Mozzie: aka a mosquito –definitely a word you need in the northern, tropical half of Australia. Matilda: a swag, as used by a swaggie (itinerant person looking for work) rather than the modern day camping version. Famously in our unofficial anthem Waltzing Matilda, there are variants depending on which state you come from, but since it started in Queensland I reckon that version has precedence. Tomorrow’s excursion will take us over to the blue waters off the west coast of Australia…where is it? 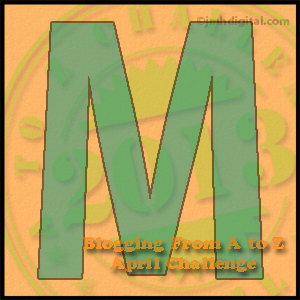 Market day: where are we? 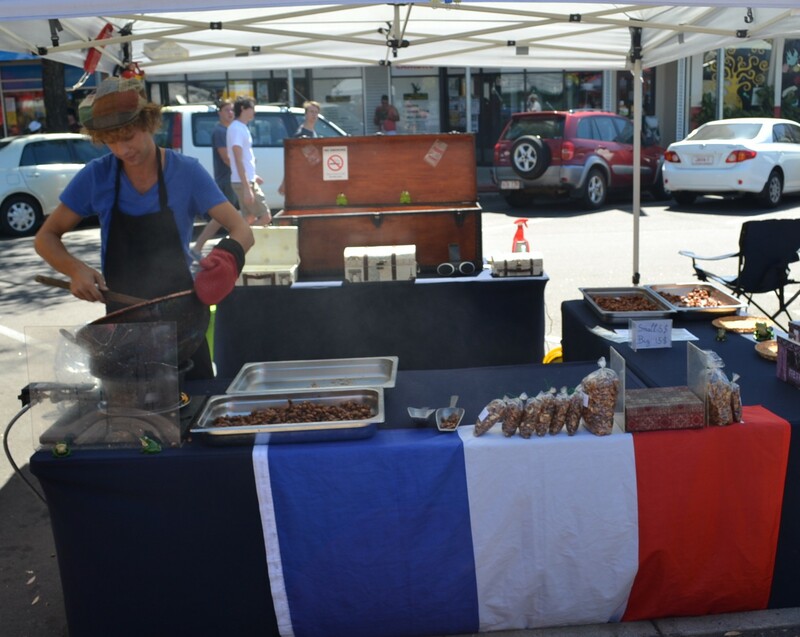 Are we perhaps in France? Are we perhaps in Asia? Have we ventured into Thailand? 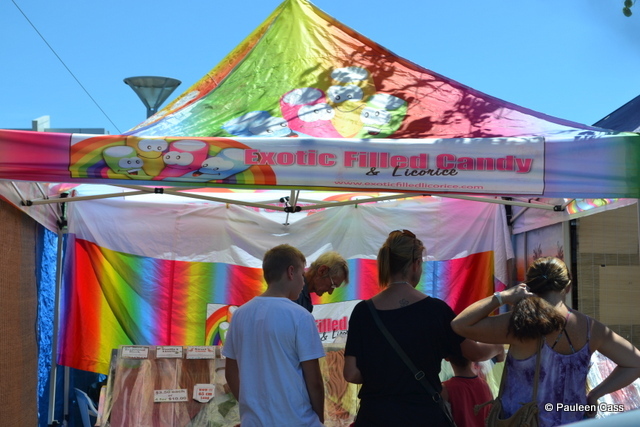 No, we’re at the Saturday markets at Parap in Darwin. Very Asian, very outdoors, very tropical and very, very Darwin.